Every week, we bring you a must-hear track from the Le Guess Who? 2018 line-up. This week, we zoom in on an old-school-esque hip-hop track from LA-based producer, musician and vocalist Georgia Anne Muldrow. Right from start, when the beat fades in and voices emerge from the background, 'Great Blacks' makes an entry as a classical and timeless hip hop track, equal measures grand and smooth. To top it off, Oakland hip hop producer Chris Keys adds a killer horn section, turning it into a soulful and jazzy production. With prior albums being more soulful in character, 'A Thoughtiverse Unmarred' marked Georgia Anne Muldrow's first hip hop record, and on 'Great Blacks', the singer goes full rap mode for the very first time. As her flows unfold with great consciousness, Muldrow praises the many greats that have come before, while appreciating those who maintain faith in her craft and her being. Listen to the track below. 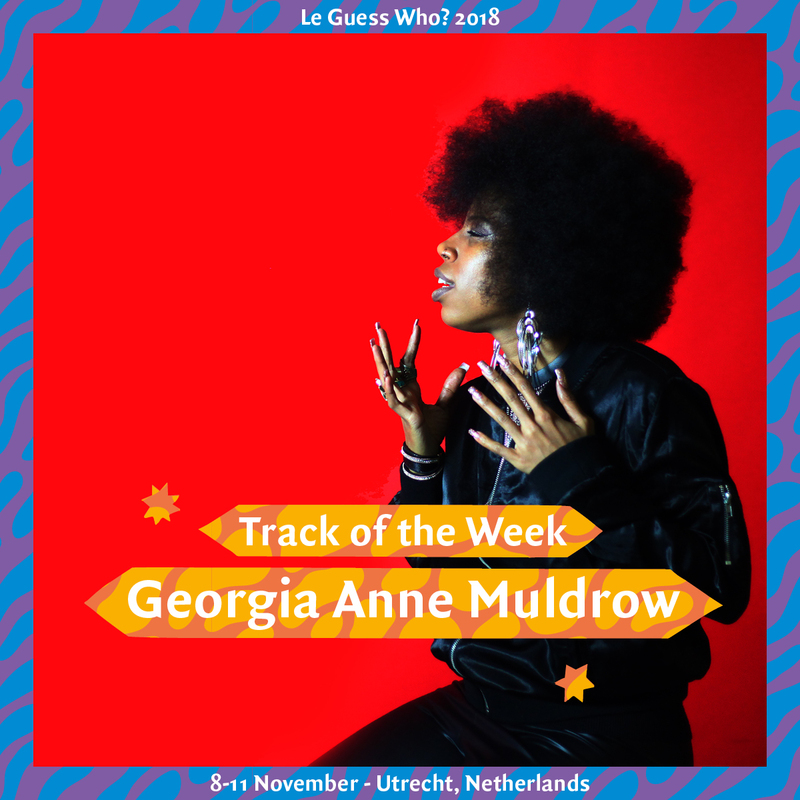 Georgia Anne Muldrow & The Righteous will perform at Le Guess Who 2018 together with a.o. Art Ensemble of Chicago, Kojey Radical, 700 Bliss, Emel Mathlouthi, Saul Williams & King Britt, Nicole Mitchell, Ras G, GAIKA, Serpentwithfeet, and many more.